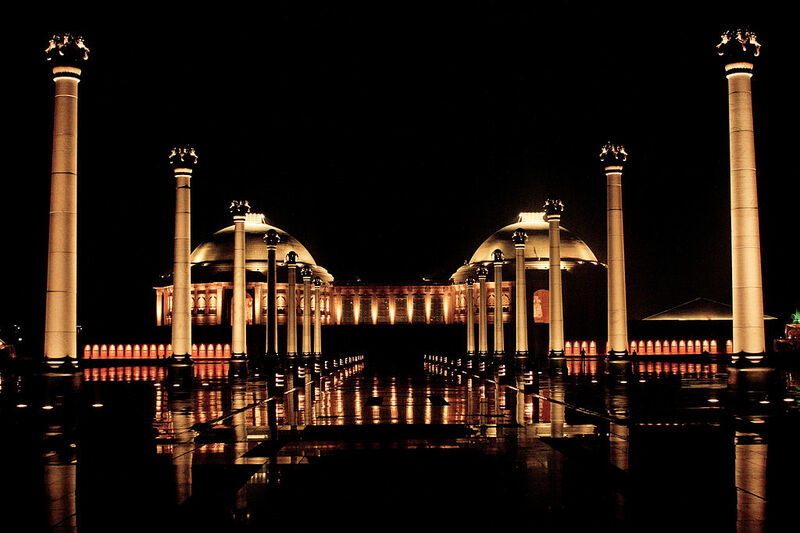 Description : We visited this park in the evening hours and got a lovely view of the Ambedkar Memorial. It was all lit up and I even clicked a few pictures. It is one of the worth visiting spots in Lucknow. The memorial was constructed by Mayawati in memory of great leaders of the past. This entry was posted in Attraction, Historic Places, Travel and tagged ambedkar memorial lucknow. Bookmark the permalink.